Kaiju? Ok how about monster? No? 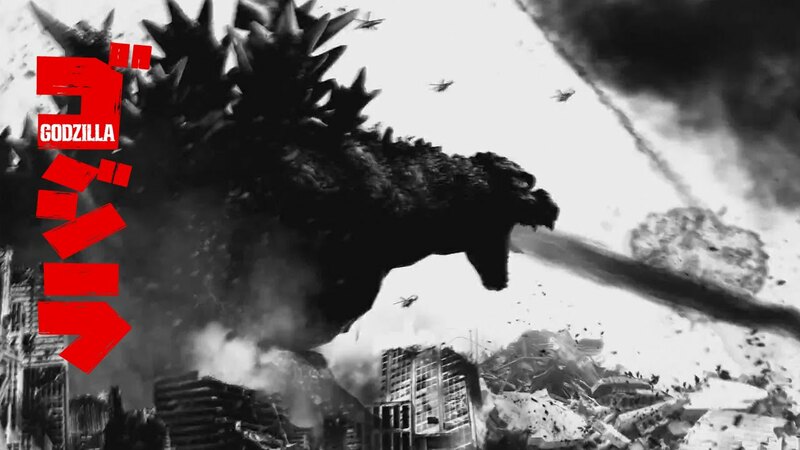 What if I said Godzilla? Yes that tickles your memory doesn’t it, because there is a game coming out for it and it is good old, destructive fun! 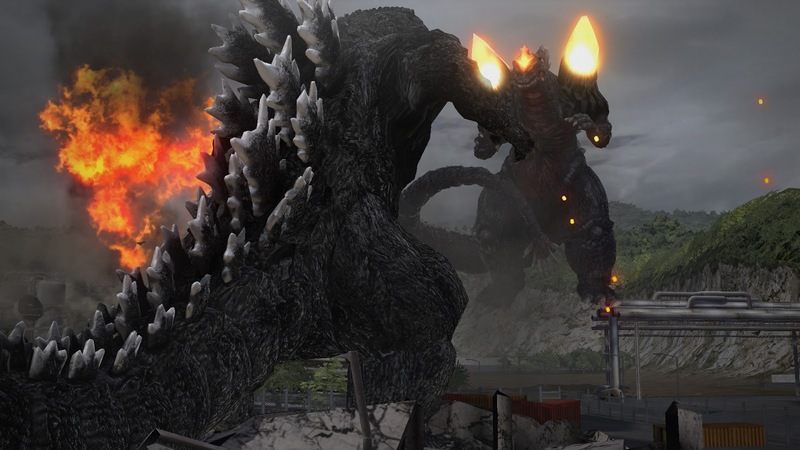 Originally released for the PlayStation 3 in Japan last year, the game will be making its way to this side of the world next week, but what exactly makes Godzilla… well Godzilla. There is only so much you can do destroying stuff and I guess the developers try to give more a variety in the modes available. Diorama allows you to create your own monster scenes using figures of the beasts themselves. King Of Monsters is exactly as it implies as Godzilla is not the only behemoth around and you’ll find yourself taking them all on. As the player defeats certain enemies and destroys certain structures in Destruction Mode, new abilities will be unlocked and can be applied to Godzilla in Evolution mode. Looks like we got ourselves a monster royal rumble here. 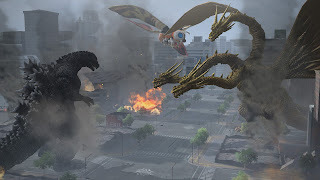 So there are several modes to the game and the one you will be playing the most will likely be Destruction Mode, where you play through multiple stages as you look to destroy and feed on the generators in each area. There will of course be some resistance from the human forces, but that of course means nothing to your overall, dominating size. The generators run on a special type of energy that helps the Godzilla grow, along with destroying buildings in the area all attribute to the growth of the beast. From time to time, you may find other monsters coming on your turf, who believe they can go toe to toe with you. When I think about it from a gameplay perspective, yes it can get pretty repetitive. I mean just how many times can you wreck these buildings or step on those tanks. Yes fighting a variety of monsters can keep things fresh, but only for a short while. The one thing I did not manage to sample was the online mode and perhaps fighting against other player monsters is the real selling point, seeing as you can evolve them too. If you are not a fan of the monsters, lore or anything regarding the background of the franchise itself, then perhaps this may not be your cup of tea. If you like destroying stuff for the hell of it, then you may want to pick it up.